3/16/13 - St. Augustine's, Tucson. I processed this using Topaz Simplify and liked the rather silkscreen-like effect. 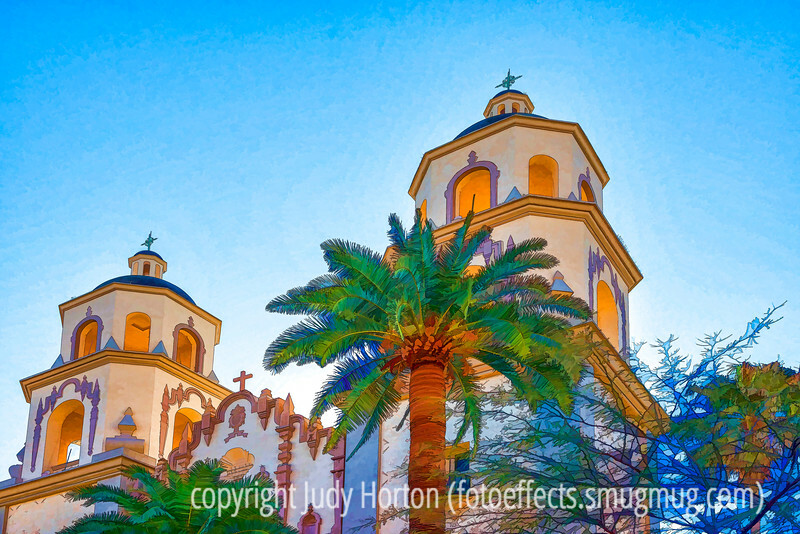 Thanks for your comments on my shot of the shadows in Old Town Tucson. Much appreciated! I like the stylization from Simplify. The right filter for the right image! Very nice, I like to use Simplify, but find it challenging to find the right image, good job! Totally wonderful choice of pp for this shot - very nicely done!